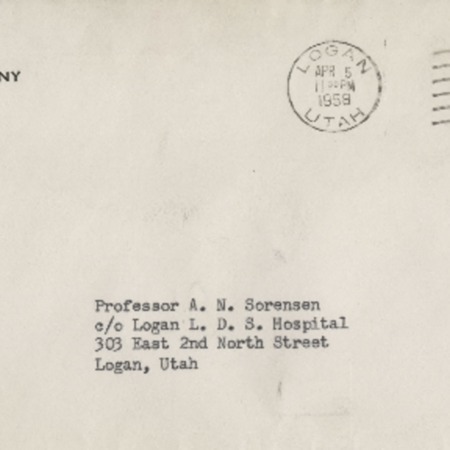 Personal letter from Robert N. Sorensen to Alma N. Sorensen and family, dated February 26, 1954. 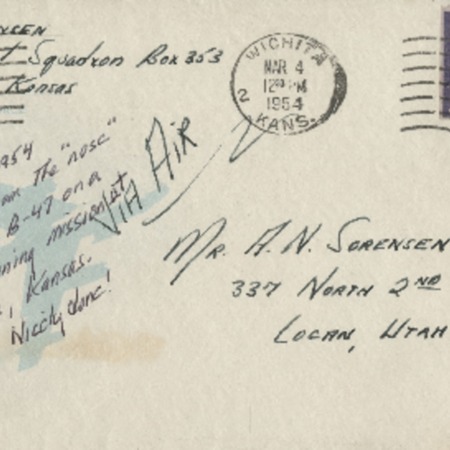 Envelope reads: written from the "nose" seat in a B-47 on a night training mission at Wichita, Kansas. Nicely done! 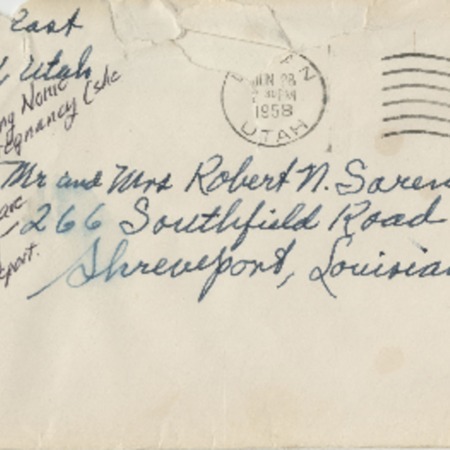 Personal letter from Robert N. Sorensen to Alma N. Sorensen,and family dated April 21, 1953. 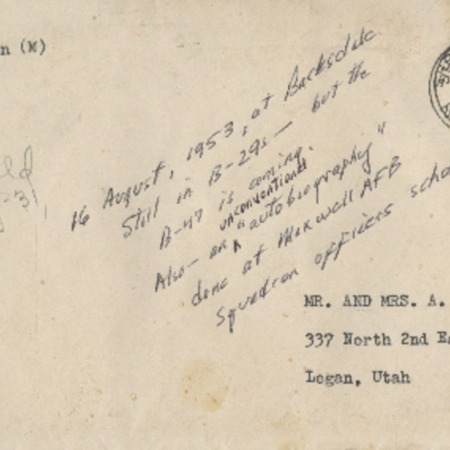 Envelope reads: Written from Maxwell AFB where I was enrolled in Squadron Officers Course. 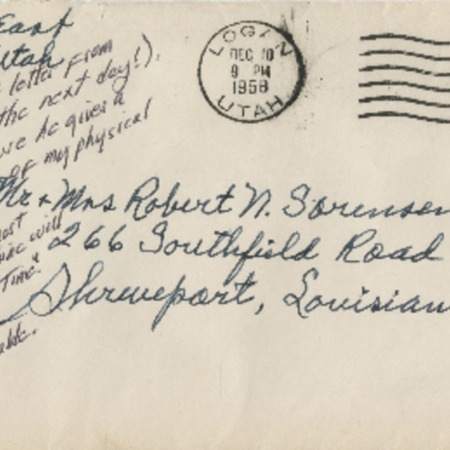 Personal letter from Robert N. Sorensen to Alma N. Sorensen, dated December 4, 1952. 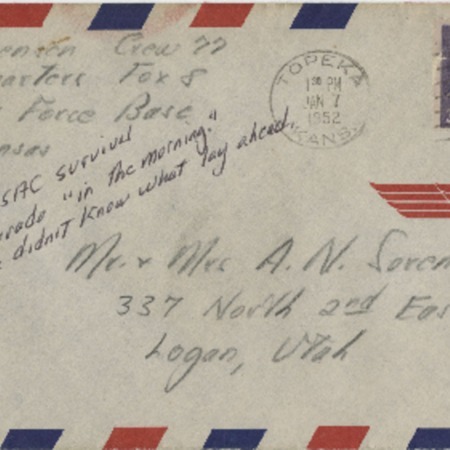 Envelope reads: Bob leaves for SAC survival training in Colorado "in the morning" good thing he didn't know what lay ahead. 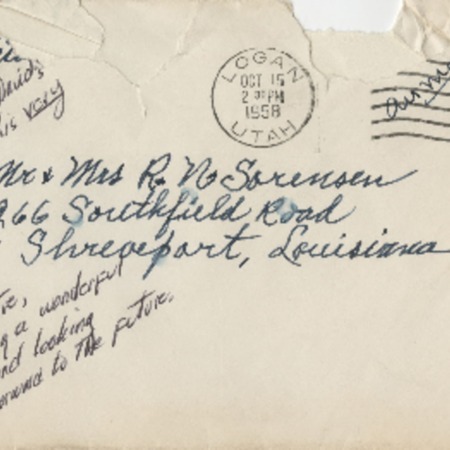 Personal letter from Robert N. Sorensen to Alma N. Sorensen, dated September 20, 1952. 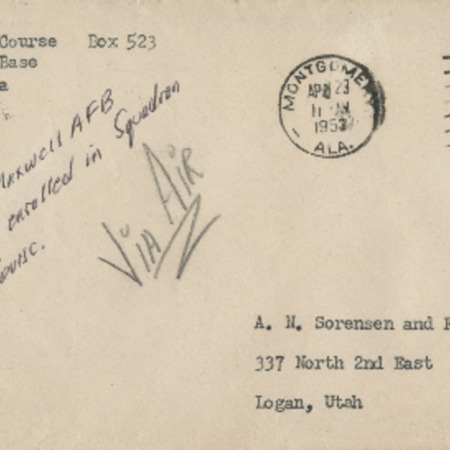 Envelope reads: A daylight mission, flown successfully. Overseas tour winding down. 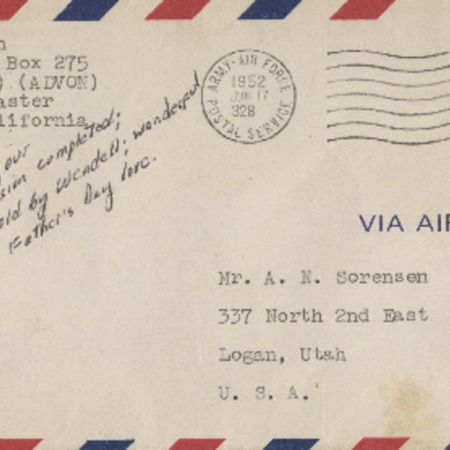 Personal letter from Robert N. Sorensen to Alma N. Sorensen and family, dated July 30, 1952. 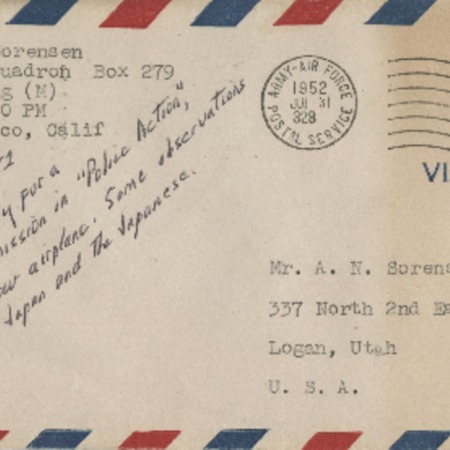 Envelope reads: Getting ready for a combat mission in "Police Action," our new airplane. Some observations on Japan and the Japanese. 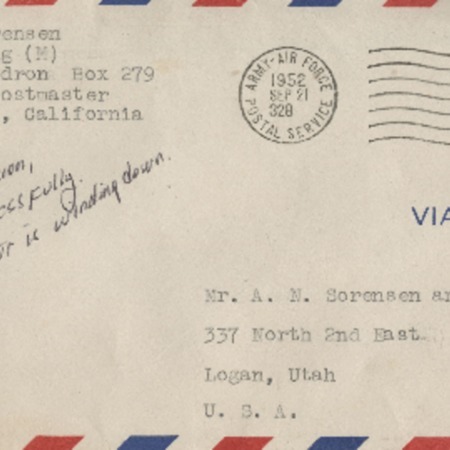 Personal letter from Robert N. Sorensen to Alma N. Sorensen and family, dated January 2, 1952. 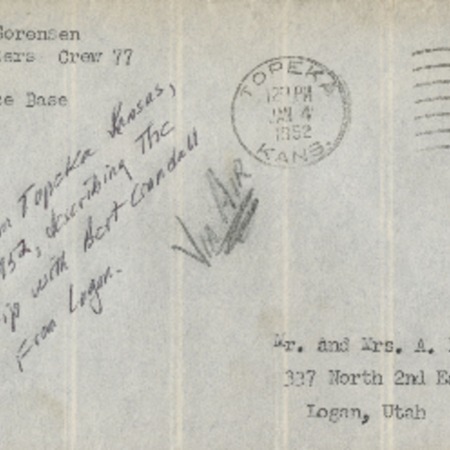 Envelope reads: from Topeka Kansas, 2 Jan. 1952, describing the trip with Bert Crandall from Logan. 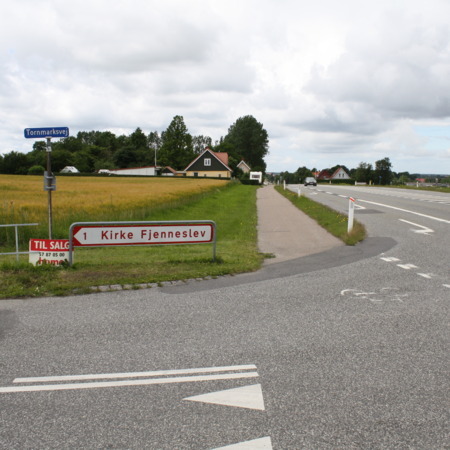 Via Air. 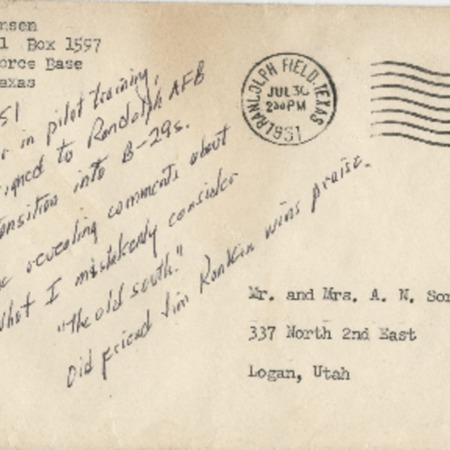 Personal letter from Robert Sorensen to family, dated January 25, 1951. 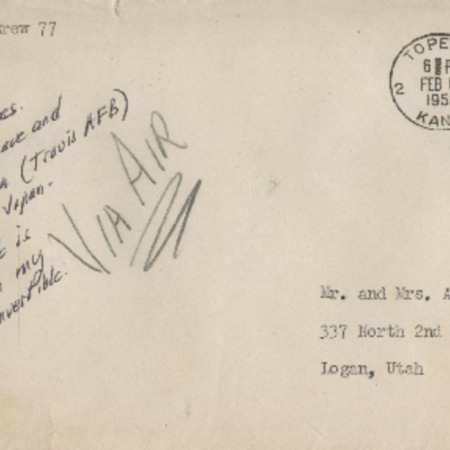 Letter describes his joy to be in Topeka, KS after a survival trek in Colorado for the Air Force. 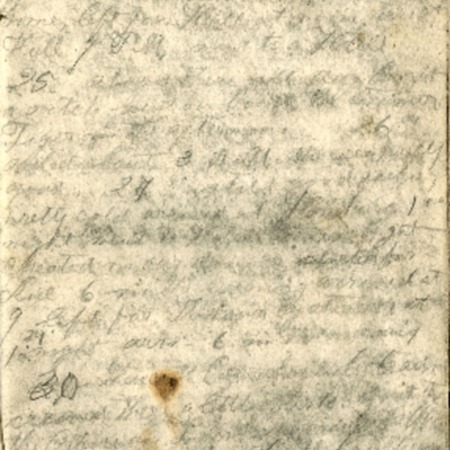 Account of the missionary travels and experiences of A.N. 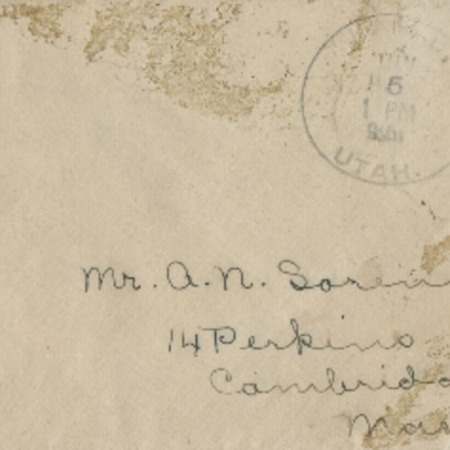 [Alma Nicholas] Sorensen of Mendon, Utah, in southern West Virginia. 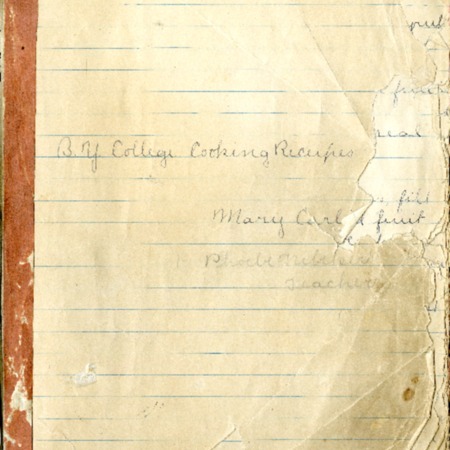 Also included are passages of poetry, scripture, and songs and an accounting of money received from home. 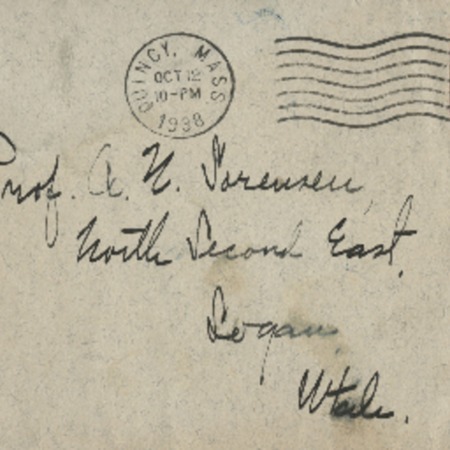 Correspondence (handwritten) from Melvin Hulme to Professor Alma N. Sorensen, no date; praises Mr Sorensen on his World Literature class. 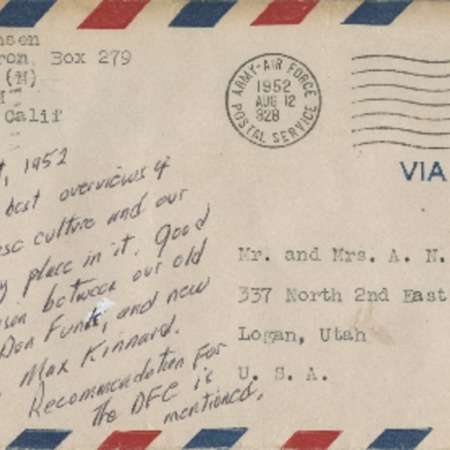 Correspondence from Frederick P. Champ to Alma N. Sorensen, dated April 5, 1958, wishing him a rapid and complete recovery from his stay at the hospital. 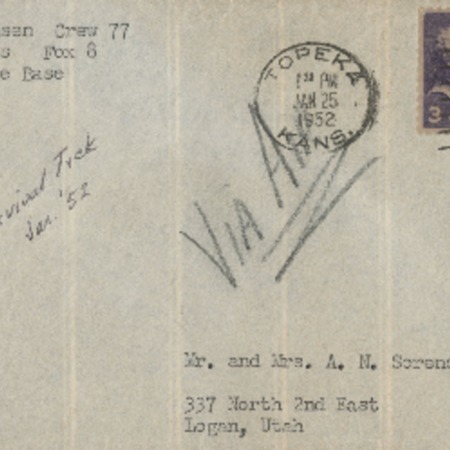 Correspondence from Virginia Hanson to Alma N. Sorensen, dated January 17, 1956. 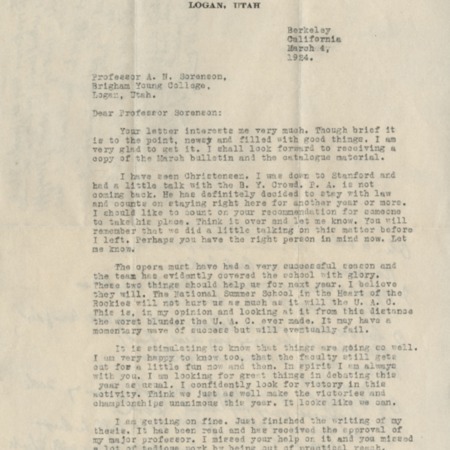 Letter includes information about the public library of which Mr. Sorensen is President Emeritus. 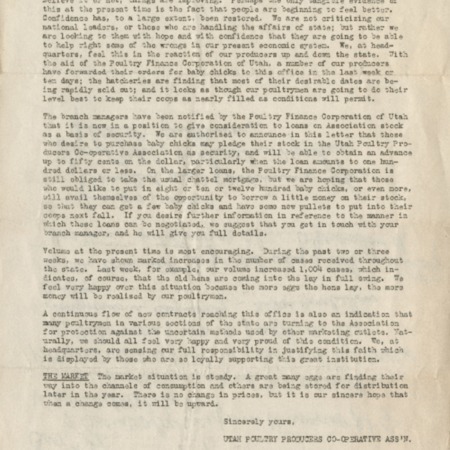 Correspondence from Frank R. A??? 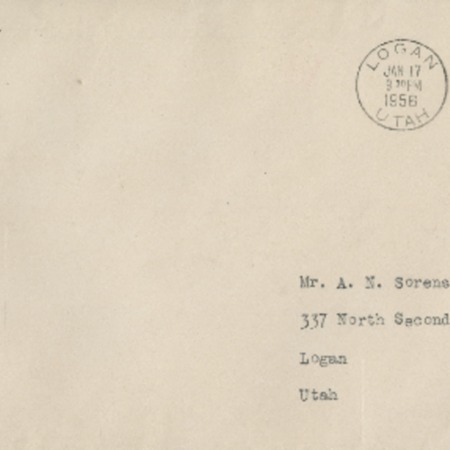 to Alma Sorensen, dated December 16, 1935 wishing him a happy Christmas. 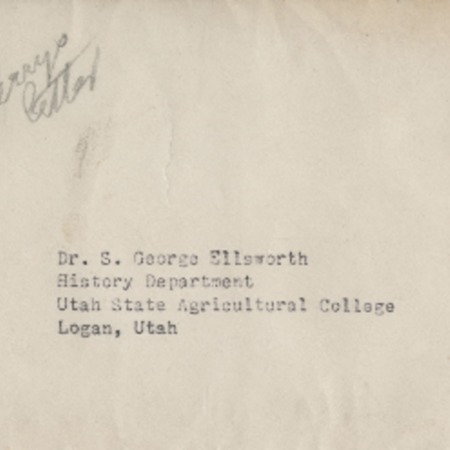 Correspondence from the Utah Poultry Producers Co-Operative, Clyde C. Edmonds, Secretary and General Manager, dated March 25, 1933. 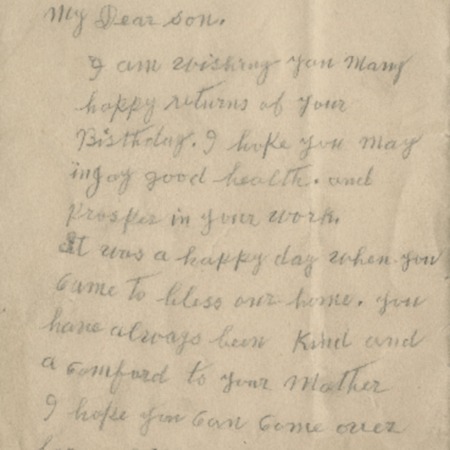 Correspondence from Mary Sorensen (his mother) to Alma N. Sorensen, dated 1929 (from Mendon) wishing him a happy birthday. 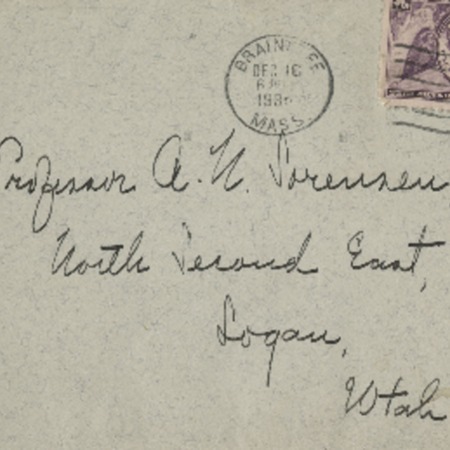 Correspondence from W.W. Henderson to Professor Alma N. Sorensen of Brigham Young College, dated March 4, 1924. 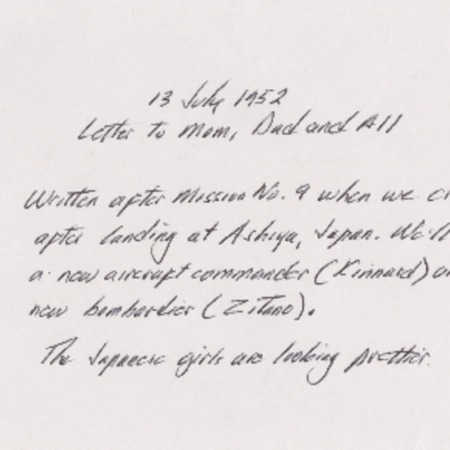 Also contains a note from B.L. 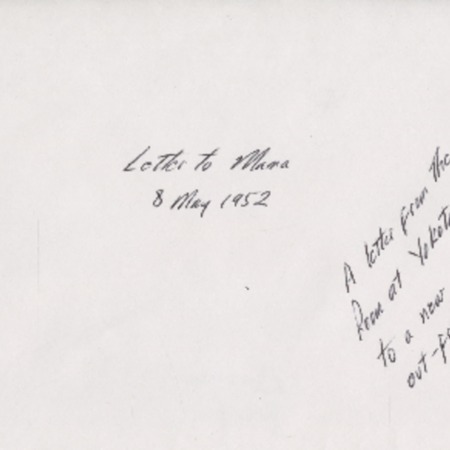 Burman handwritten on the back. Correspondence from J.A. 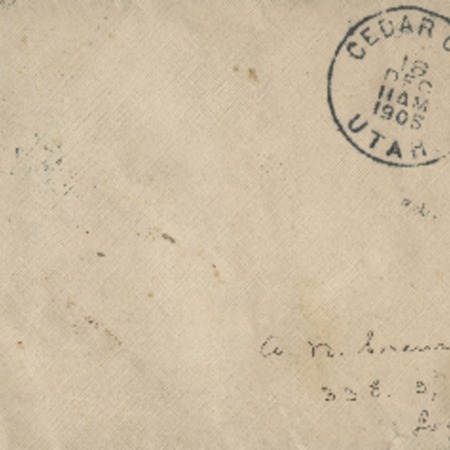 Gardner to Alma N. Sorensen, dated November 20, 1906. 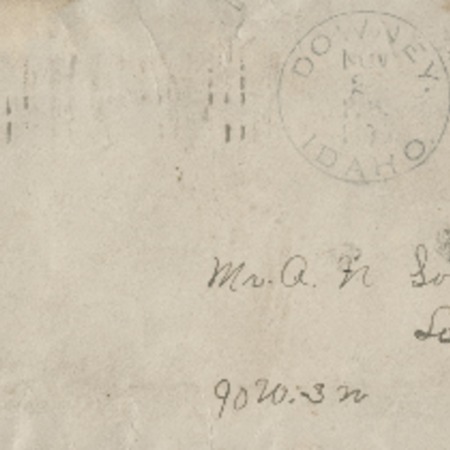 From Downey, Idaho. 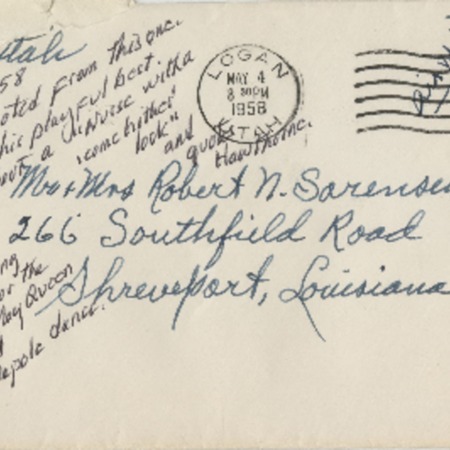 Correspondence from Robert N. Sorensen to Alma N. and Mary Sorensen, dated January 25, 1952. Envelope reads: The Survival trek. 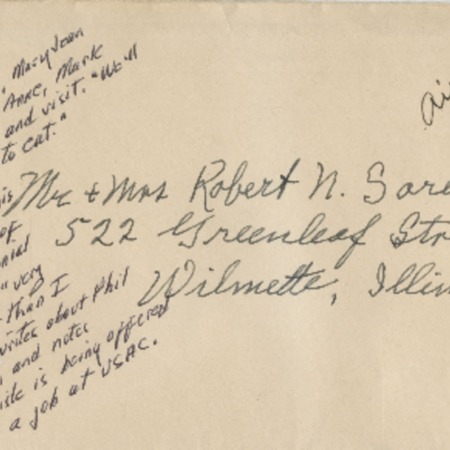 Correspondence from Alma N. Sorensen and Mary Sorensen to Robert N. and Noel Sorensen, dated June 26, 1958. 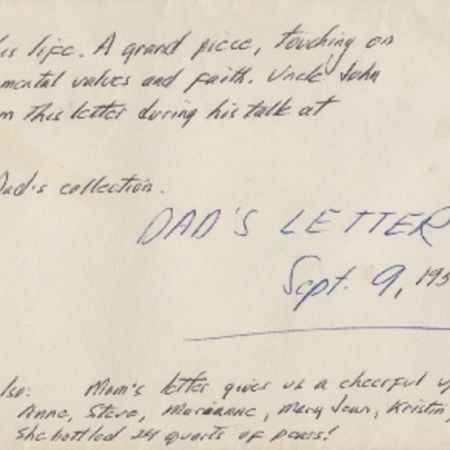 Envelope reads: Momma encouraging Nonnie on her second pregnancy (she lost the baby). Dad's topics are wide ranging-a terrific report. 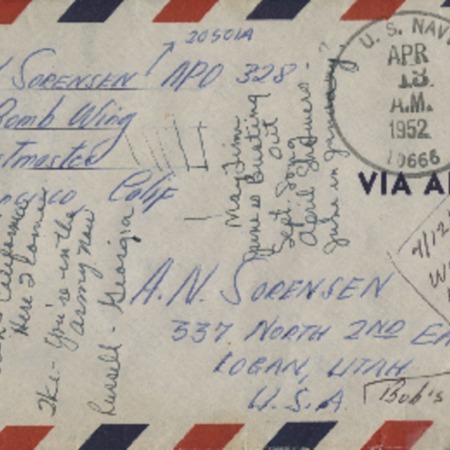 Correspondence from Alma N. Sorensen to Robert N. Sorensen, May 3, 1958. 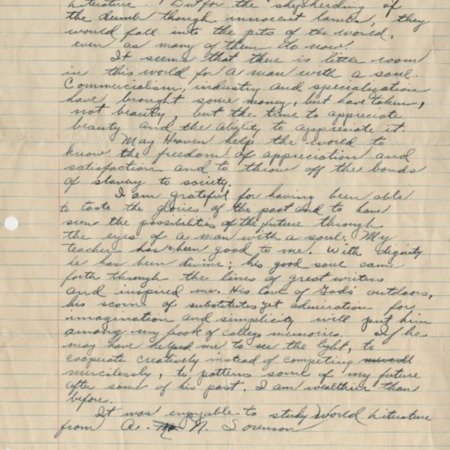 Alma Sorensen writes about a "nurse with a come hither look", quotes Hawthorne, and mentions going to Mendon for the traditional May Queen crowning and Maypole dance. 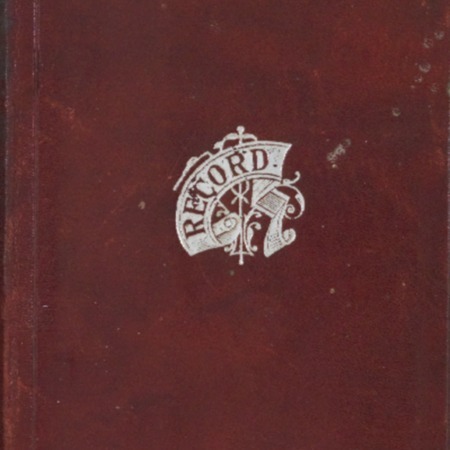 Scandinavian mission journal of Frederick Isaac Sorensen, dating from 1879 to 1880. 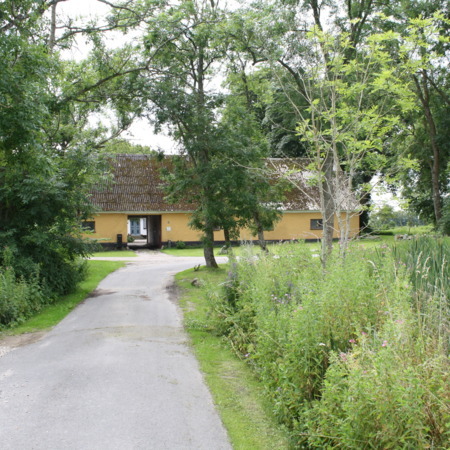 For pictures of the original home of Nicolai Sorensen and birthplace of Isaac Sorensen in Fjenneslev, Denmark, please see the images at the end of the diary.